Looking for exclusive villa rentals in Cannes? Residence Royale selected a lot of luxury villas and vaction homes in and around Cannes. 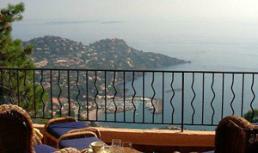 Choose one of our luxury villa rentals for a wonderful holiday in southern France. This luxury provençal style villa is for rent in a private domain in the hills above Cannes (Côte d’Azur). Beautiful villa for 8 with private pool and outdoor kitchen, only 10 min. from Cannes! This luxury holiday villa is for rent in Mougins near Cannes on the Côte d’Azur (France). Splendid holiday villa with 4 bedrooms, 3 bathrooms, internet and private pool, close to shops, restaurants and golf course! 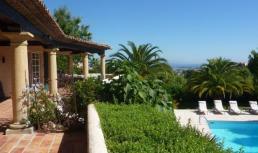 This wonderful holiday villa is for rent in the hills above Le Trayas close to Cannes (Southern France) and only 5 min. from the beach. Splendid holiday villa for 8 to 10 persons with private pool and panoramic sea view! This spacious holiday villa (370 m2) is for rent in the sought-after area of Super Cannes (Southern France), only a 15 min. walk from Vallauris. Magnificent villa with 7 bedrooms, 5 bathrooms, private pool and WiFi internet close to the beaches of Juan Les Pins, Golfe Juan and Cannes!